Welcome to our ‘new’ In-Patient Centre! 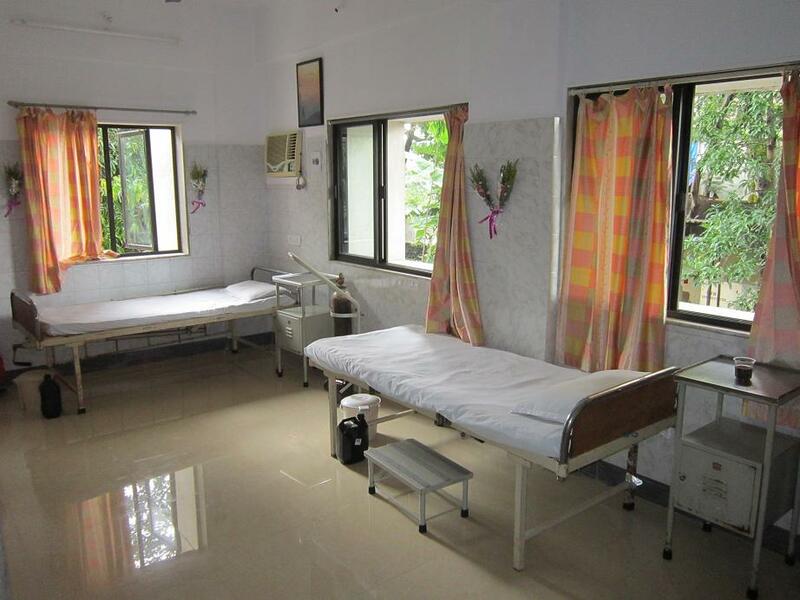 We are happy to announce that the renovations of the Jeevan Sahara Kendra Community Care Centre have been successful and we now have a 10-bedded in-patient unit operational! With these facilities, we are now able to give 24 hour care to people living with HIV/ AIDS who are sick and need secondary hospital care to get better. Will you join us for a small tour of the new facilities? 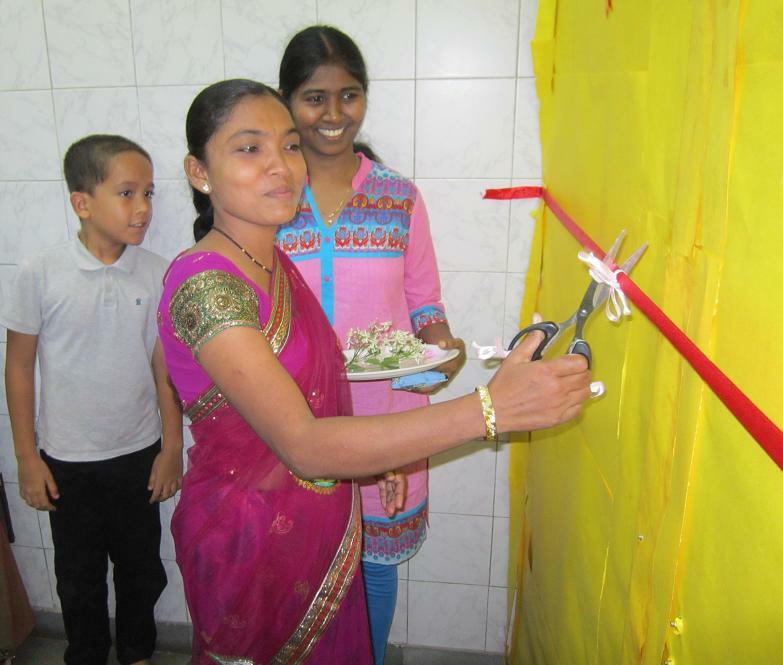 We will ask our dear sister Kavita to cut the ribbon and open the door for us! 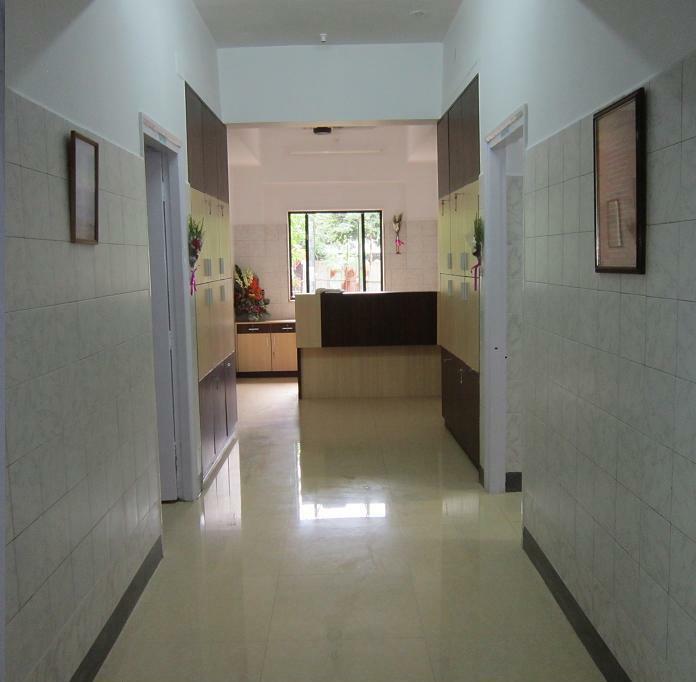 As you come into the hall, you first see the nursing station at the end. This is where our nurses are on duty – 24 hours a day – to make sure that people with HIV who are admitted at the Jeevan Sahara Kendra for treatment get better! 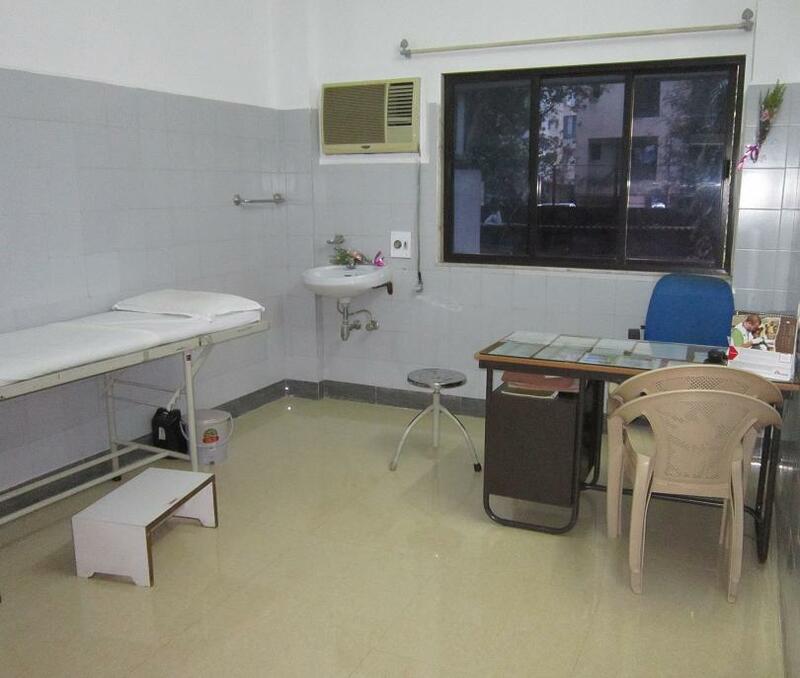 This is the Doctor’s consulting room, where Dr. Sheba Eicher and other experienced and caring doctors do the initial examination and diagnosis for our patients. 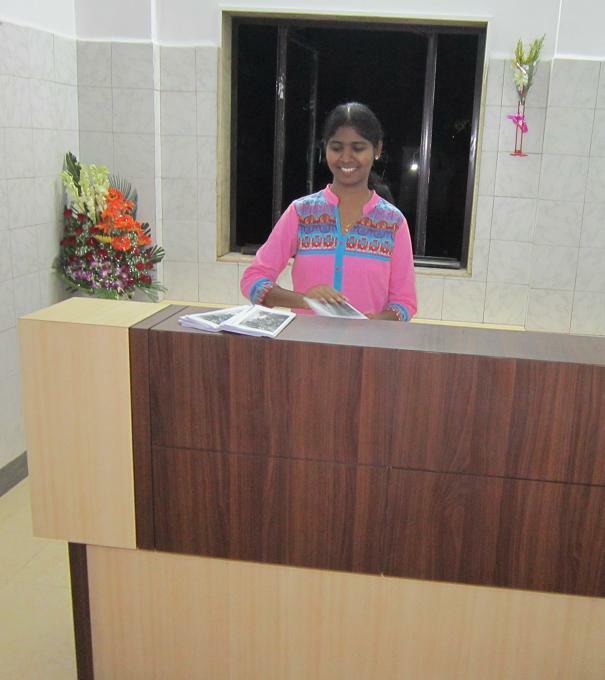 We are privileged to have Dr. Sheba as our Medical Director – besides her specialisation in Family Medicine has also done her Fellowship in HIV medicine from CMC Vellore and has over a decade of experience in treating people with HIV/AIDS. The next doors open to our three wards – one for women, one for men and one for people with active tuberculosis. Here is the women’s ward. We have 4 beds available for women in this ward. In the men’s ward we have another 4 beds for men and a further 3 beds available for people with active TB in a separate ward. At Jeevan Sahara Kendra, we have a decade of experience in loving and caring for people with HIV. We know these new rooms are not just a beautiful facility, with windows overlooking trees even though we are in the middle of a city. We know that they are places of healing and care – where our experienced and loving medical and nursing staff are giving hope to many who have only experienced rejection till now. Our Jeevan Sahara Kendra Community Care Centre is designed to give short-term hospital stay (generally up to 2 weeks) to immuno-compromised patients. We are not an ‘ashram’, but rather a ‘treatment centre’ where our team works with the patient and their family to do everything possible to address their physical, emotional and spiritual needs. For People Living with HIV/AIDS from Thane city, we are able to follow up afterwards with home-based care. For patients coming from other parts, we work to link them up to local caring HIV centres in their home area. So please do not hesitate to contact us. You can call at 022-25899248 or our mobile at 9321112065. We are here for you! Our head nurse sister Agnes and the whole team is waiting to serve you and your family! You are currently browsing the archives for the HIV Treatment category.